"Against the tide the off-shore breezes blow"
A picturesque pebble beach surrounded by woodland with calm sheltered waters. 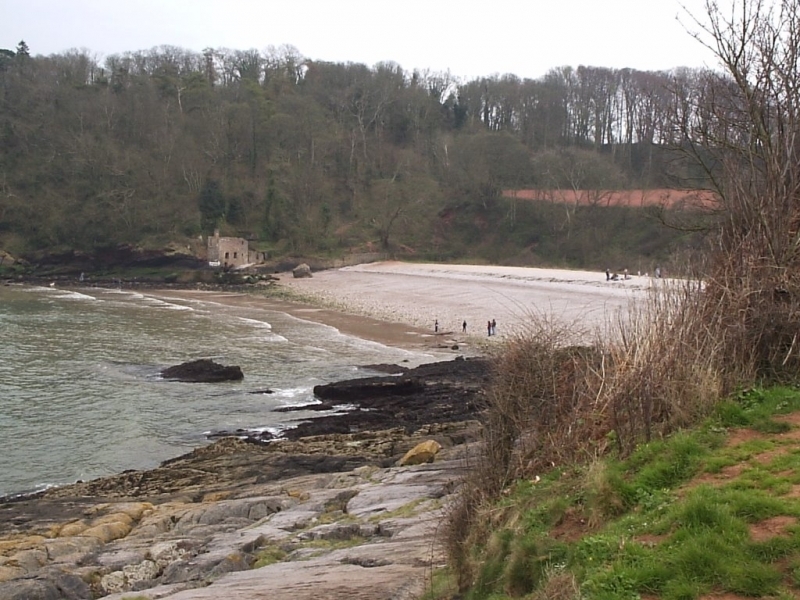 Elbury Cove is adjacent to the South West Coast Path. The tide at Elbury Cove is currently high. Low tide will be at approximately 4:19 AM tomorrow, and the next high tide will be at approximately 10:26 AM tomorrow. Parking, toilets and cafe at nearby Broadsands Beach. Litter picked daily in Summer. around 4 miles north as the seagull flies, around 7 miles by road. around 2 miles south-southeast as the seagull flies, around 5 miles by road. around 2 miles east-southeast as the seagull flies, around 4 miles by road. around 6 miles south-southwest as the seagull flies, around 10 miles by road. less than a mile northwest as the seagull flies, less than a mile by road. around 2 miles north-northwest as the seagull flies, around 3 miles by road. Visitor information for Elbury Cove, Devon, England. Weather, tides, visitor comments, beach facilities, photos, nearest postcode, beach information and nearby accommodation.